Breakfasts, salads, sarnies, cakes and evening nibbles along with Red Roaster organic coffee, wine, beer, juices and smoothies. The Cafe at Yellowave has a lovely decked area looking south west across the volleyball courts to the Brighton Pier. There’s also a free sandy play area for little un’s, baby change and £1/hr on-street parking outside the venue. To check out some pics of the cafe take a look at the Cafe Gallery. Plus we have a kids’ menu with pancakes, mini bacon sarnie, scrambled eggs, cheesy beans on toast, simple cheesy or pesto pasta, cheese, hummus & cucumber sticks, ham or tuna sarnie. All our meat comes from local butcher Seckers of Richardson Rd, Hove or Southover Food Company. Both pride themselves on the quality of their meat, making sure their farm suppliers have excellent animal rearing standards. 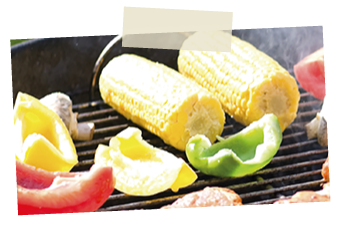 A great way to finish off your fun in the sand is to book in a BBQ for your friends or colleagues. We offer private BBQ’s for groups of 15 plus, great for staff do’s or just an after work get together, when you book some beach sports or the Clubhouse. To make and enquiry please call or email us with the following information: Date, time and numbers.